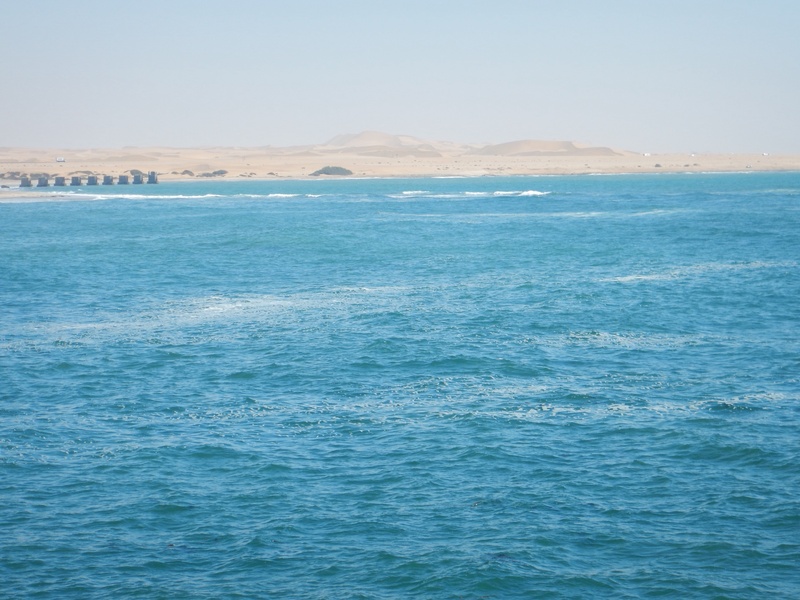 We spent two days in Swakopmund and it was a blast. 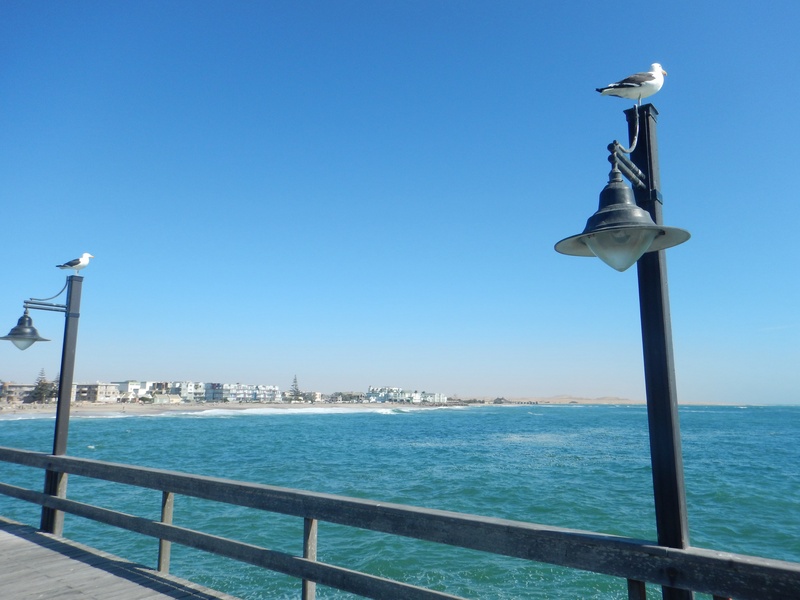 Located about 30 minutes from Walvis Bay, Swakopmund started out as a German settlement. Thus, there was a lot of German influence in the area as well as German tourists. It was a nice little town and Jesse and I spent a day walking around visiting all the different shops and the beach. While staying here, we were offered a room from John, one of of Jesse’s old coaches. He now lives and works in Namibia coaching and has his own travel magazine. It is a great magazine that covers Namibia’s actives, food, and lodging. The name of the magazine is Leisure Times and it is definitely worth checking out if you are traveling to Namibia. 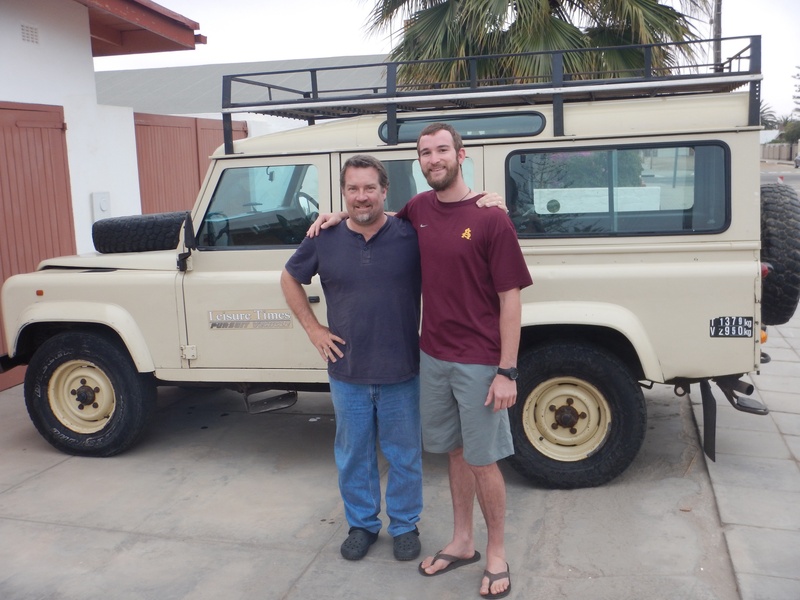 John hosted us and showed us around some of the top spots in Swakopmund. We enjoyed a beer at the Brauhaus and then headed to the Jetty, a restaurant which was located at the end of the pier. The food here was fantastic and the view with the waves crashing against the pier was just as good. After dinner, we headed to Kucki’s Pub where John was friends with one of the original owners. Sitting and talking with John was a blast. Not only was it fun talking to another American but he was full of facts and knew so much about Swakopmund and the history. I was able to learn a lot from him and all of us had a good time hanging out together. The next day, Paddy and Allan picked both Jesse and I up and we headed to a seal and dolphin tour. Honestly I wasn’t expecting too much from this tour but boy was I surprised! 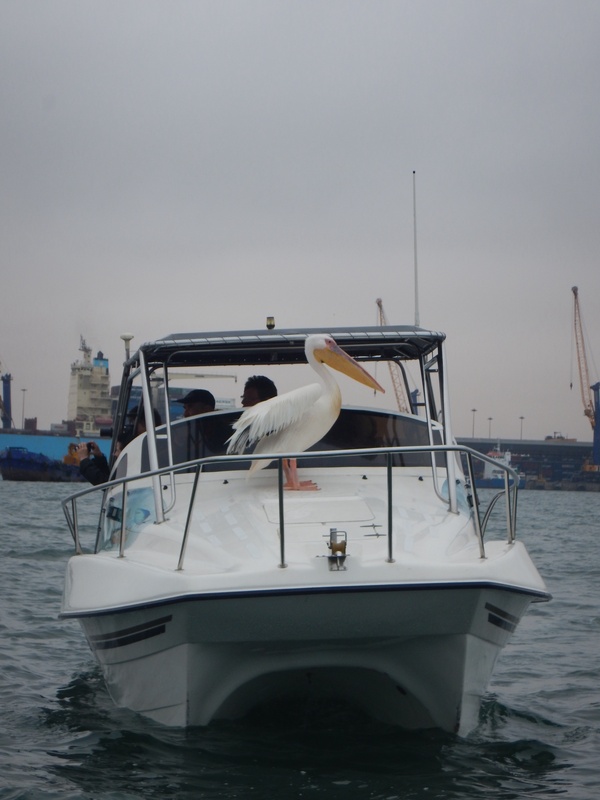 Each boat contained about 12 passengers and as soon as we boarded, a pelican hopped on board. It walked right up on the bench and I was able to pet him. 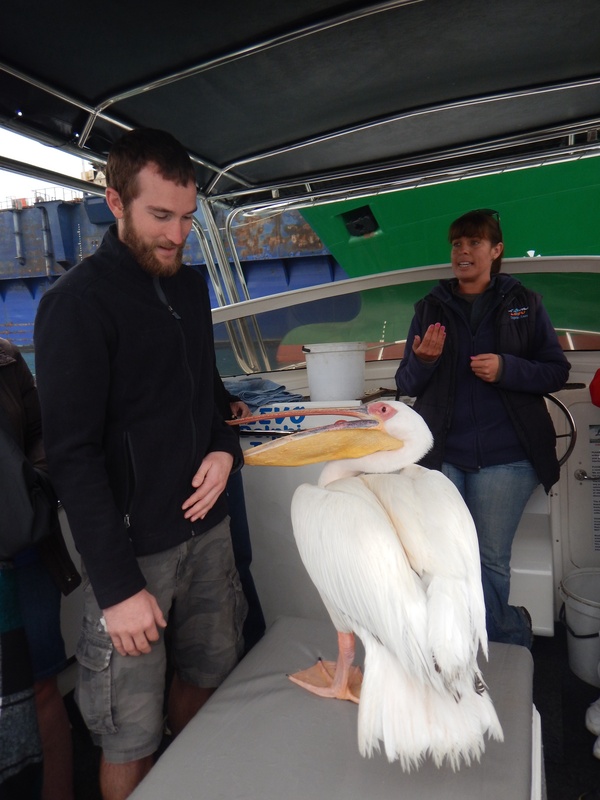 He then proceeded to try and eat my jacket that I was wearing so our guided decided to give him a fish to eat instead. 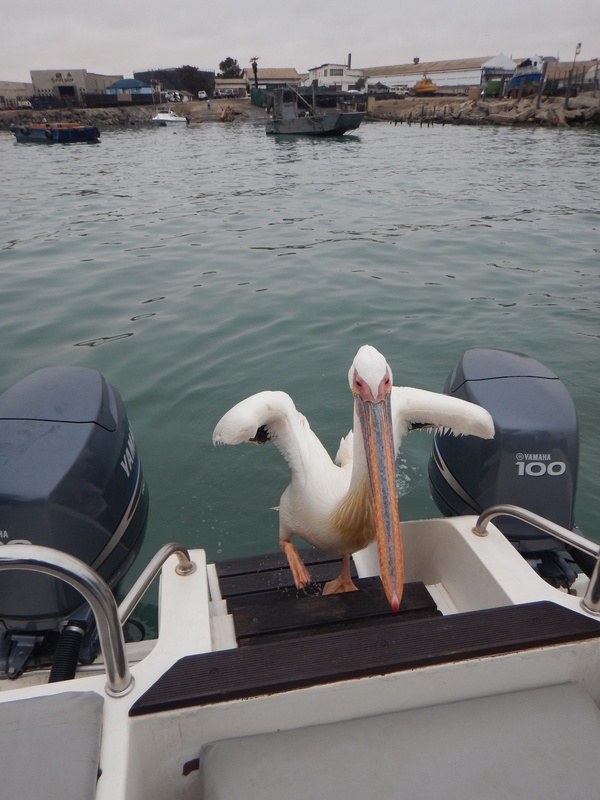 Leaving the harbor, our boat was accompanied by another friend, a seagull. 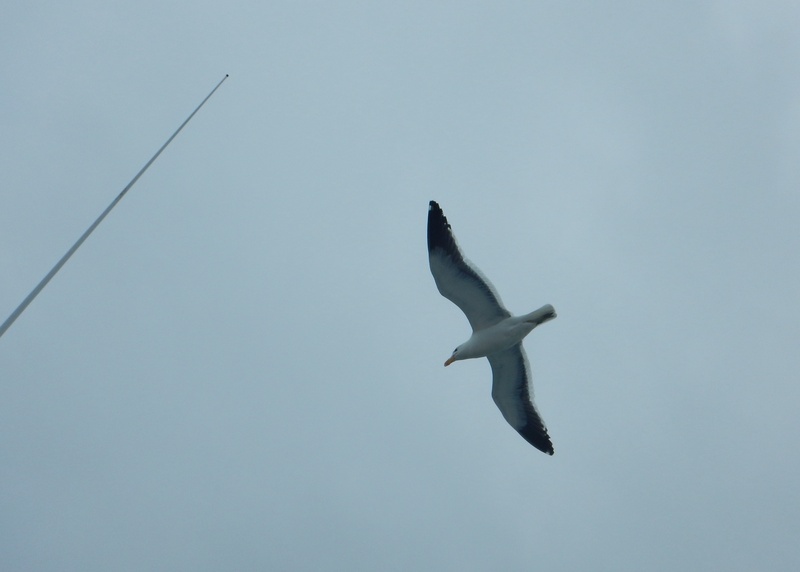 The seagull flew along side our boat for about five minutes hovering and going the same speed as us. 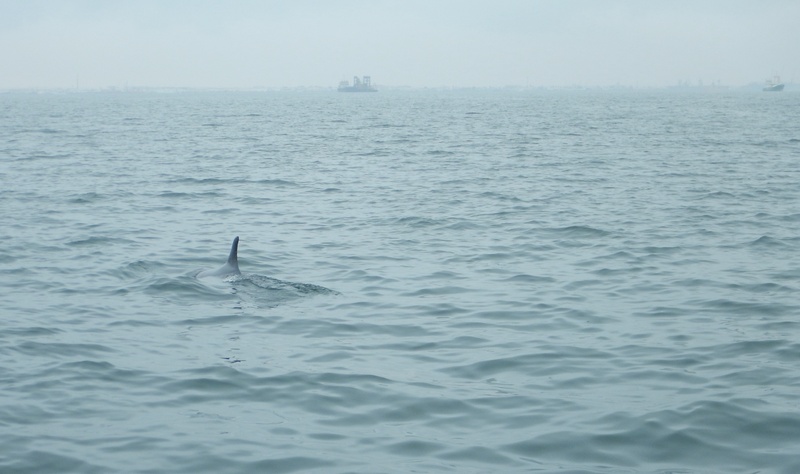 Arriving at the first stop of the tour, it was time to spot some dolphins. With this being the popular spot to see dolphins, other companies also had their boats here. 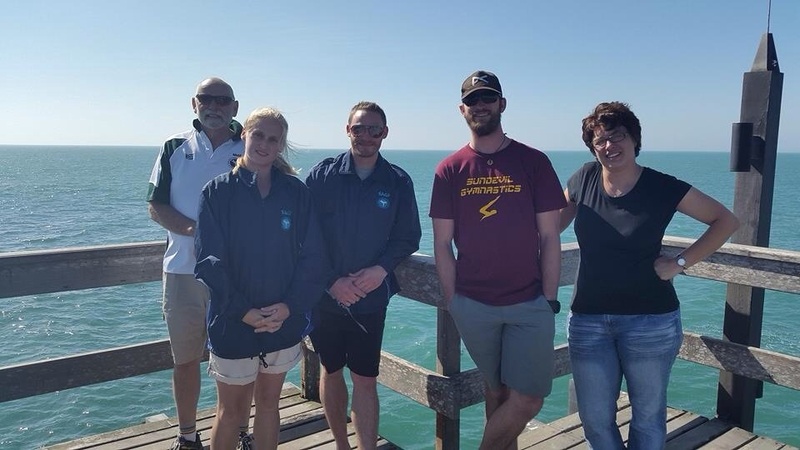 This just meant as soon as a dolphin was spotted, everyone rushed to the same spot. Fortunately around this area, dolphins are prevalent because there are no sharks and we were able to see several. Many times it was more than one dolphin swimming together through the water. After seeing the dolphins, it was time to view some seals. There were groups and groups swimming together in the ocean and even more laying on the shore. Expecting to just drive around and listen to our guide talk, I was pleasantly wrong. 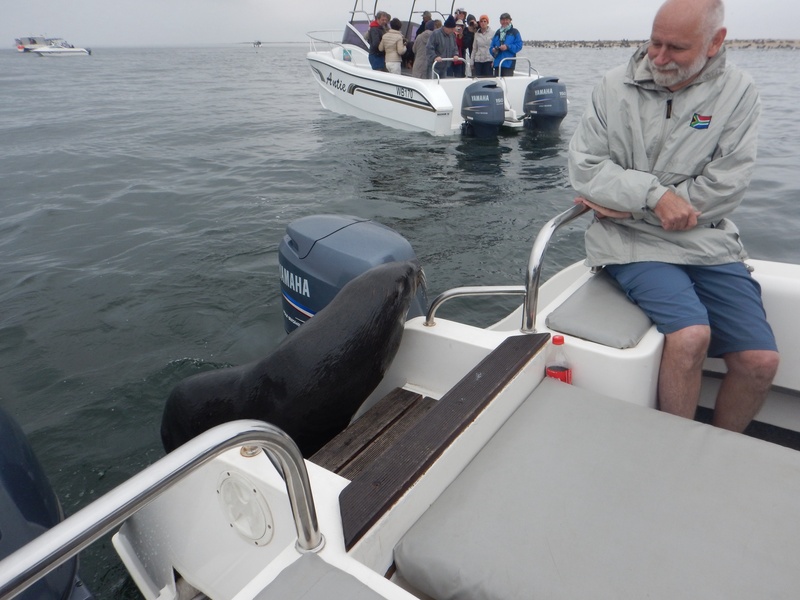 A seal swam right up and onto the boat. He slid right by us and to our guide who had a fish waiting for him. 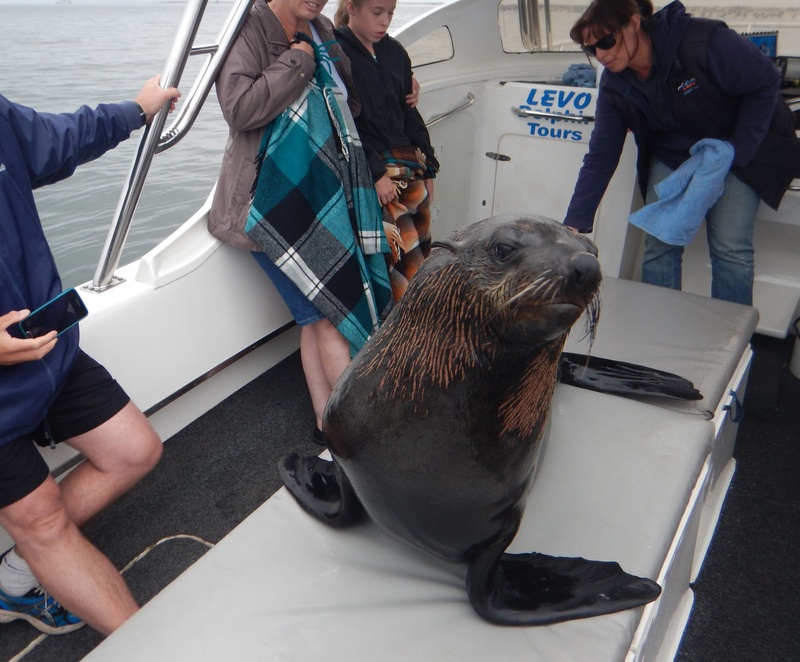 If we wanted to, we were allowed to gently pet the seal. At this I quickly jumped up and gave the seal a little stroke along the back, while some of the other tourists decided against this. I was loving this tour and being so close to these animals. It was an experience I won’t forget and thoroughly enjoyed. No tour is complete without some food, snacks, and drinks. It was time to eat some food! The tour guide pulled out a platter of snacks and then started shucking some oysters. Namibia produces a lot of oysters because the water is so cold. Unlike other places, they are able to harvest twice each season instead of only once. 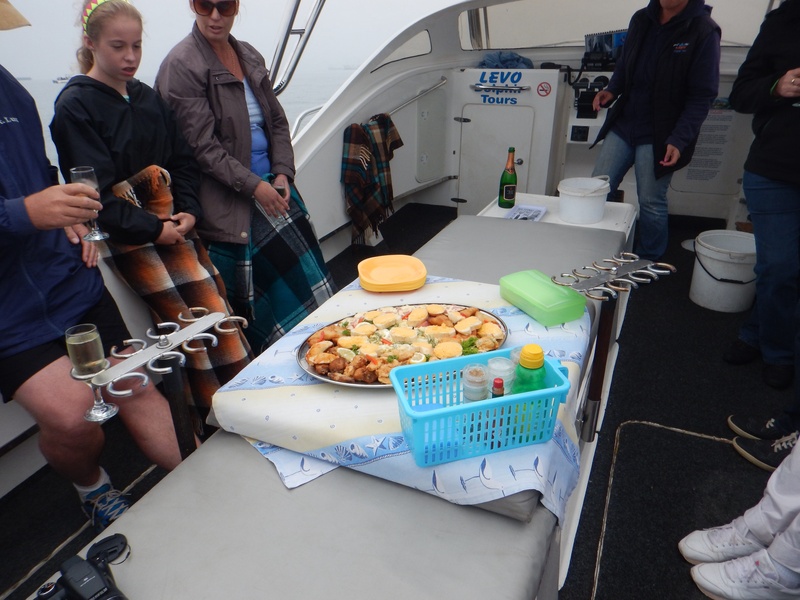 Tasty and fresh oysters were served to us on the boat. Some of the best that I have had! The tour was a blast and such a good time. Our guide was very personal and fun, making the time fly by. I was able to enjoy some new experiences as well. It was so cool being able to see and touch these animals in their natural environment.Something that I have never done before and I loved it. Swakopmund was a very enjoyable town. It was super nice to spend time here in the laid back atmosphere. The small local shops were welcoming and friendly. I am very thankful for John opening up his house and showing Jesse and I around some of the fantastic sights. 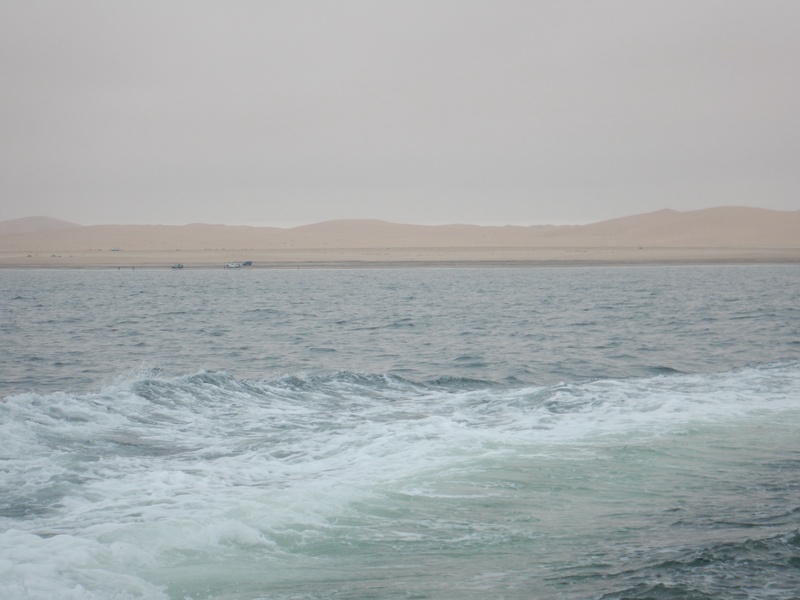 Viewing the Namib desert from the pier was one of my favorite views.